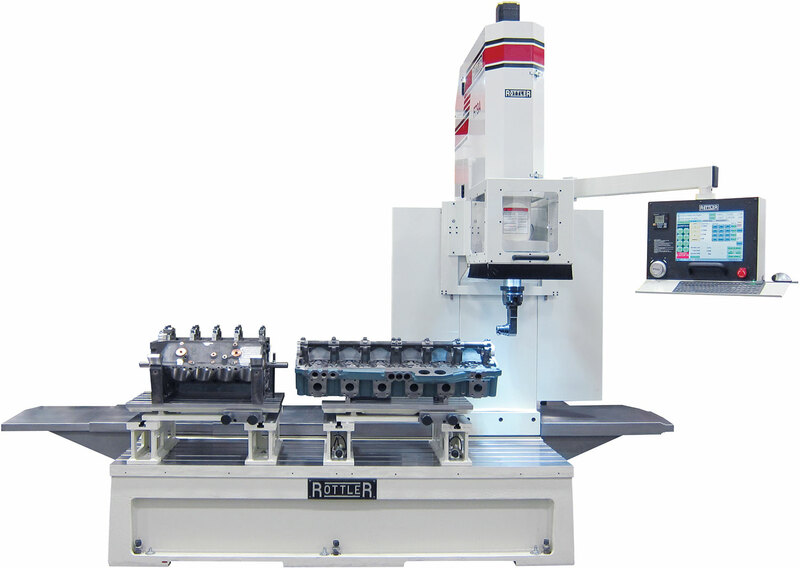 We at Rottler have been designing and manufacturing machines since 1923 and we used those 89 years of experience to produce a new class of machine intended for both the small to medium size diesel engine rebuilder and the performance racing engine builder. 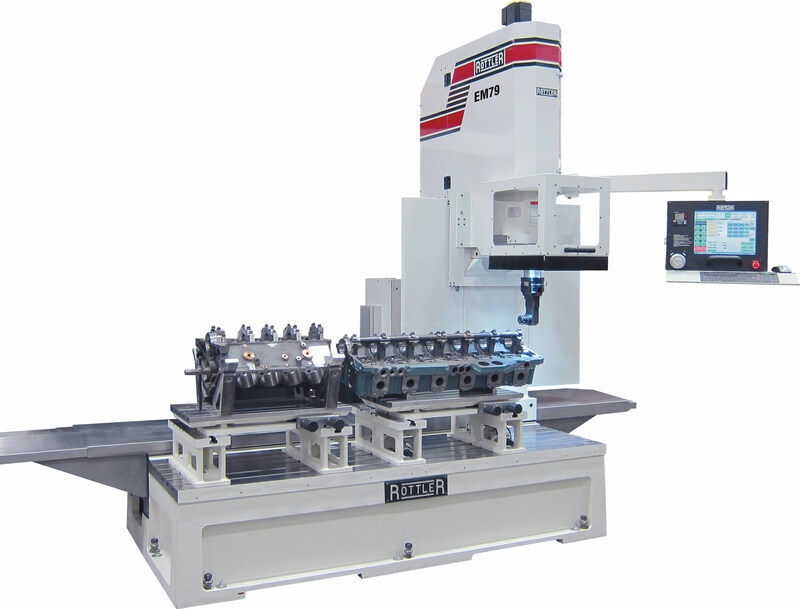 These versatile machines are able to perform common jobs such as boring/sleeving, surfacing (heads and blocks), main and camshaft line boring, and general industrial CNC machining with Rottler CAM software. 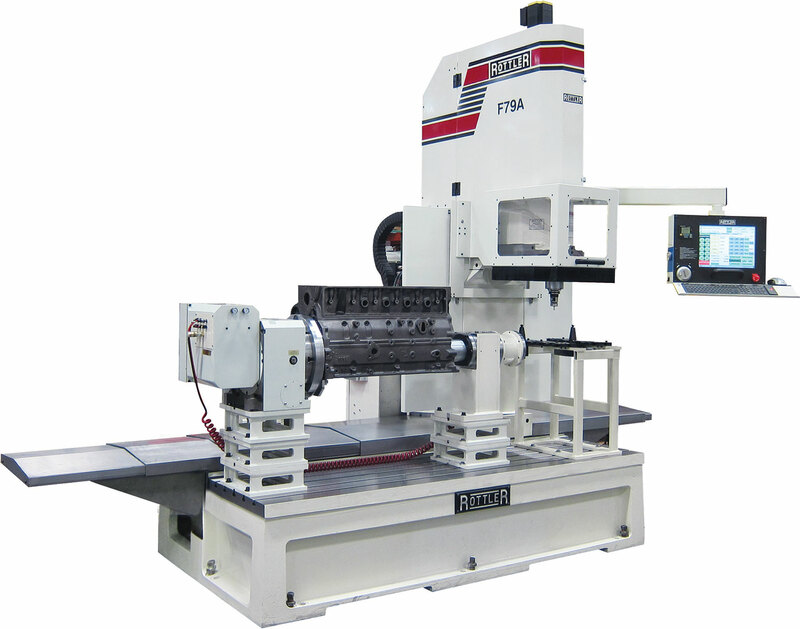 Our latest CAD Software (featured in the F79A and several of our other models) allows our tools to incorporate many functions and roles in one multi-purpose machining center, providing the diversity of many different machines in one package. 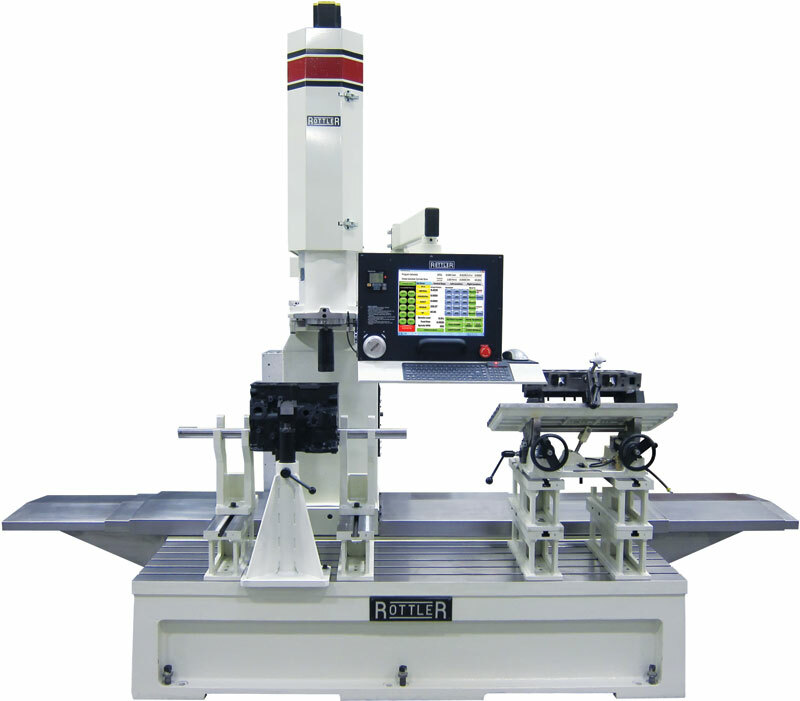 The F70 Series completes the range of Rottler Machinery that exists today. Internet Support - Connectivity - Rottler offers internet support and video conferencing direct from your machine to the factory. This feature gives you instant, direct contact with Rottler right on the machine without making a phone call. Skype and a webcam come pre-installed so that Rottler Technicians see what you see. This saves a tremendous amount of time for training and troubleshooting. Shop busy or too noisy for talking? Skype provides you messaging capabilities with Rottler Technicians. Automatic Tool Changer - Automatic Tool Changing System available for production machining applications. Traveling Column Design - Allows stationary work piece for increased accuracy. Extra Height Capacity - Easily handle medium size diesel blocks forincreased versatility. Large Turcite Coated Box Ways - Turcite coated bedways for reduced friction, longer life and better accuracy. World Standard CAT40 Spindle - For fast tool changing and worldwide versatility. 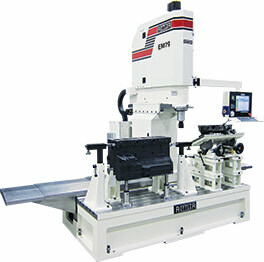 Sliding Quill Spindle Design - For deep hole machining required for block work. Servo Motors - Offer maximum torque and performance throughout the RPM range for precise accuracy and increase productivity. Single Phase 208-240V - For power efficiency that saves electrical running costs. 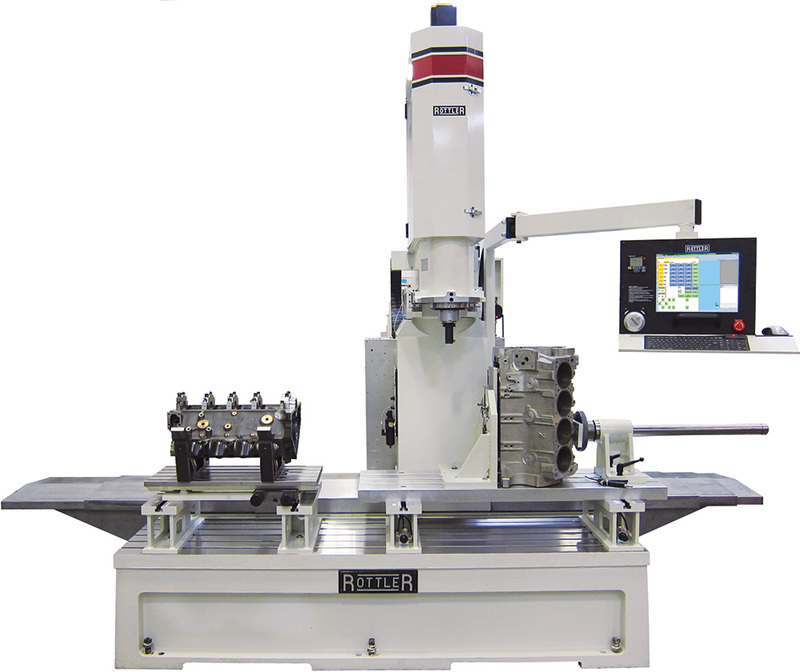 Automated Workhead Tilting System - Provides superior surface finish. Extra Long T-slot Work Table - for Dual Workstations and Large Blocks for increased versatility. Direct Drive Precision Ball Screws - Give long trouble free life and accurate movement. The conveniently located control pendent centralizes the machine controls. Only the buttons and interactive menus required for a particular machine operation are displayed. Machine operations can easily be done manually or automatically, with the ability to store programs in memory. Digital readout allows the operator to accurately monitor position at all times. Control operates in metric and inch systems. 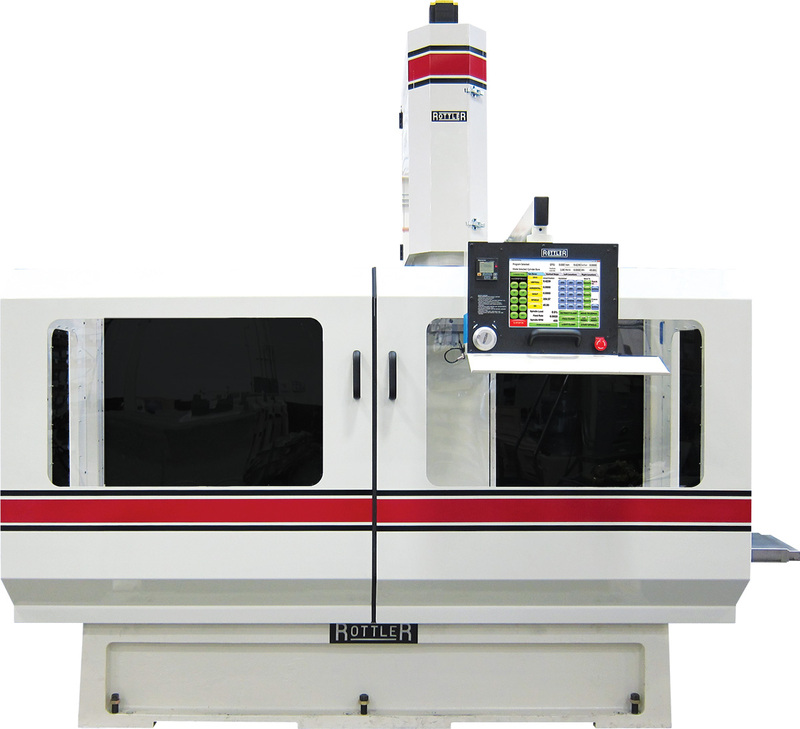 Conversational 3 axis CNC control, PC based with Windows Operating System. 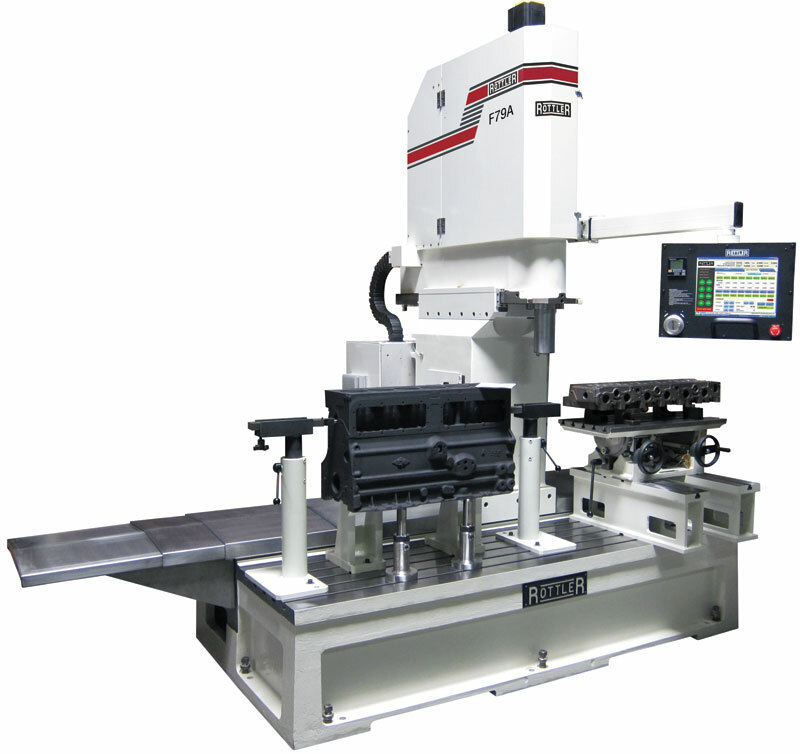 Program Bore Centers, Exact Depth, Speed, Feed, etc. Machines complete bank or main line in Automatic Cycle. 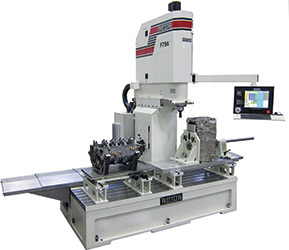 Lower Offset Boring allows lower sleeve repair in Automatic Cycle. Circular Interpolate Counterbores for Radius Undercut or Wide Counterbores. 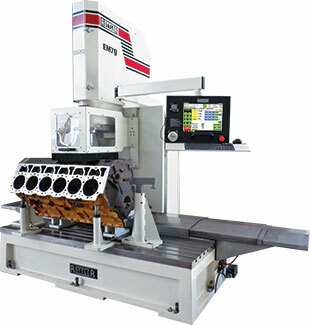 Surfacing/Milling – Multiple Pass – program for Rough Cut and Finish Cut for superior surface finish. 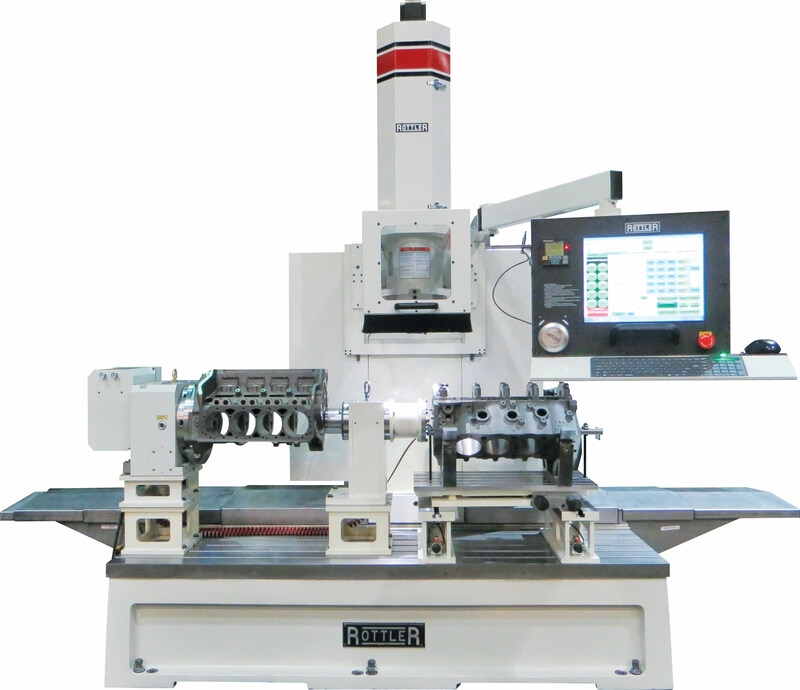 Line Boring – program the bearing bores and length of each bore and the machine automatically moves from bore to bore, completing the line unattended. 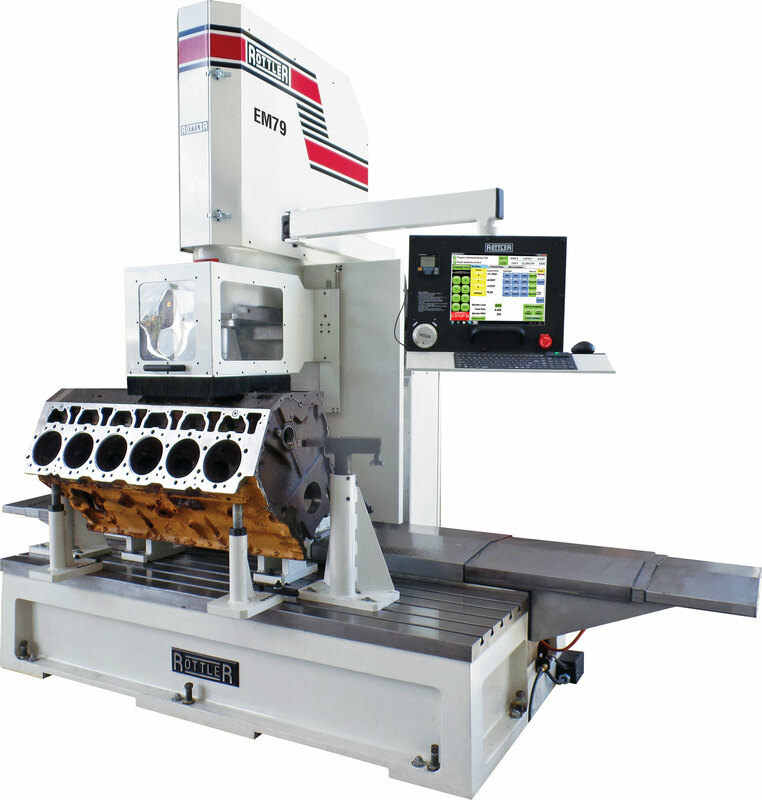 Face Main Line Thrust Faces square to centerline of Crankshaft using Rottler Circular Interpolation software.